Originally when in Codec, the screen is supposed to be behind a blurry sepia filter. 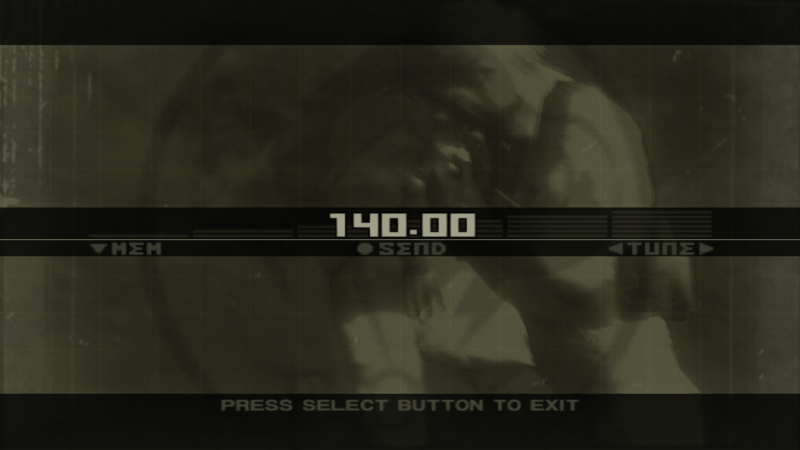 But in PCSX2, Snake is rendered in full color with crisp graphics. That could be the problem, unfortunately. Let's wait for someone else to confirm this bug. Known issue. It's fixed in the developer builds using the OpenGL renderer. If you don't have an NVIDIA card though, I would not recommend using the OGL renderer due to performance issues with AMD cards. I do have an Nvidia GPU, a 1080 Ti. So I should go with OGL then? I suppose I should use OGL for all my games then, when I have a GPU from Nvidia? I noticed another problem in Snake Eater. The graphics looks super weird and I know for sure that's not how it supposed to look like. If you look closely, there some form of "ghosting" around pretty much everything except the HUD elements. It's like both Stereoscopic and a crap ton of bloom was applied. I've looked at the Snake Eater entry in the PCSX2 wiki and adjusted the settings accordingly. Yet it looks like this.